Northern Lights saunas will appeal to anyone who is looking for an authentic Finnish sauna experience. 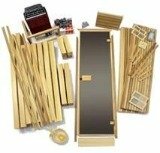 These saunas are actually manufactured in Finland, giving your sauna an authentic pedigree that you can't always find with models that are made elsewhere. The flip side to this is that your sauna will cost a bit more, since it has to be shipped to North America. The price difference isn't prohibitive (the difference isn't as much as you would expect), primarily because Northern Lights saunas are shipped directly to resellers in the U.S. and Canada. 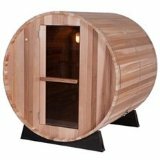 The markup for the shipping and reseller profits will vary depending on where you purchase your sauna, because you can't order directly from the company. The advantage of ordering a sauna by Northern Lights lies in the superior craftsmanship and design. They use only stainless steel heaters to minimize the metallic odor sometimes found with other heaters. Every wall is a full three inches thick with 2/3 inch paneling on both sides. Substantial insulation and a moisture barrier are also part of the exceptional wall construction that keeps operating costs to a minimum. You'll also discover that they use premium softwoods that are native to Finland and from sustainable tree farms or forests. White Nordic Spruce and Yellow Nordic Pine are fine grained, attractive woods that have only a light wood scent that many prefer to the heavier scent of cedar saunas. You can also request a sauna of Red European Alder if you prefer the look of a reddish tinged wood. Northern Lights saunas can also be upgraded with thoughtful features such as towel racks, cup holders and custom lighting options. One of the nicest features is the optional LED starlights; these are recessed, pinpoint lights that add an "under the stars" ambience and soft mood lighting to your sauna's interior. Northern Lights saunas include a unique air circulation system. It pulls the hot air from the heater up to the ceiling, where it is mixed with fresh air and then circulated down to the floor. 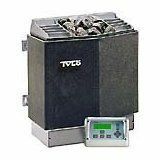 This ensures truly even heating and improves the efficiency of the heater. The oxygenated air is also more restful and healthier for you. 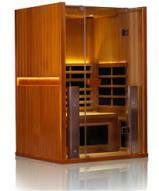 The air circulation system is one of the best reasons to purchase one of these saunas. If you use your sauna regularly, you'll notice the improved air quality and get better results from your sauna experience. Are these imported saunas worth the price? Yes, if you can afford to pay the extra. The attractive designs and their proprietary air circulation system are worth every penny if you spend a few days every week in your sauna. But be sure to do your homework; compare at least three official distributors of Northern Lights Saunas before buying. When you're buying from a middle man, the reputation of the middle man is just as important as the quality of the sauna.